A record number of Airline passengers flew out of Pangborn Memorial Airport in 2018. Passenger enplanements totaled 64,689 which represents a 7.2% increase over 2017. Passengers flying into the greater Wenatchee Valley totaled 62,874 a 7.1% increase from 2017. Total passenger volume of 127,563 is a record for the Airport. Due to passenger growth in 2017, Alaska Air added additional flights during the summer and holidays in 2018. “Alaska continues to be a strong partner, adding more flights at busy travel times supporting local residents and businesses”, said Chelan County Port Commission President JC Baldwin. The other major factor in the record passenger numbers was a significant reduction in cancellations in 2018. The percentage of cancelled flights fell from 5.9% in 2017 to 2.7% in 2018. “As our community seeks more air service, they continued to use the expanded Seattle service, which is the best way to get more flights to more destinations in the future”, said Douglas County Port Commission President Jim Huffman. 2018 also marked important progress in the communities’ goal of securing additional air service. This past summer the Airport was awarded a $750,000 Federal grant to secure non-stop regional jet service between Pangborn Airport and the San Francisco Bay Area. This grant was matched by over $400,000 in local pledges. The Airport has held meetings with several interested airlines with the goal of obtaining new service by mid-2020. 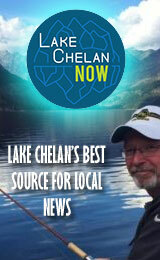 The Airport is jointly owned by the Ports of Chelan and Douglas Counties.